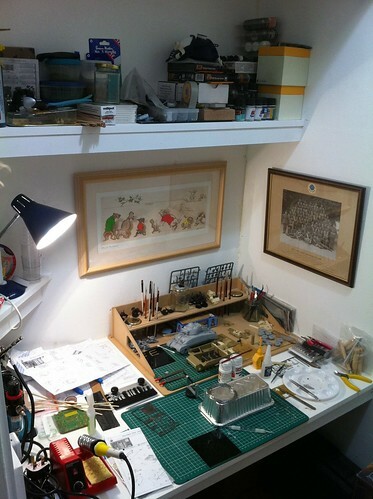 The Hobby Cupboard, a photo by WW2 Scale Models on Flickr. Well, here it is. This is my hobby cupboard that I can keep all my stuff together and work on my models. You'll spot a primed Sherman and my current SturmTiger project. It would be great to have your own wee studio with great light wouldn't it? Well, this works out just fine too. Although, I do need to be careful about fumes when airbrushing. Stay safe kids!